Bankside Open Spaces Trust is an environmental and volunteering charity,working with people to design, maintain and protect public parks, gardens and open spaces in London SE1. 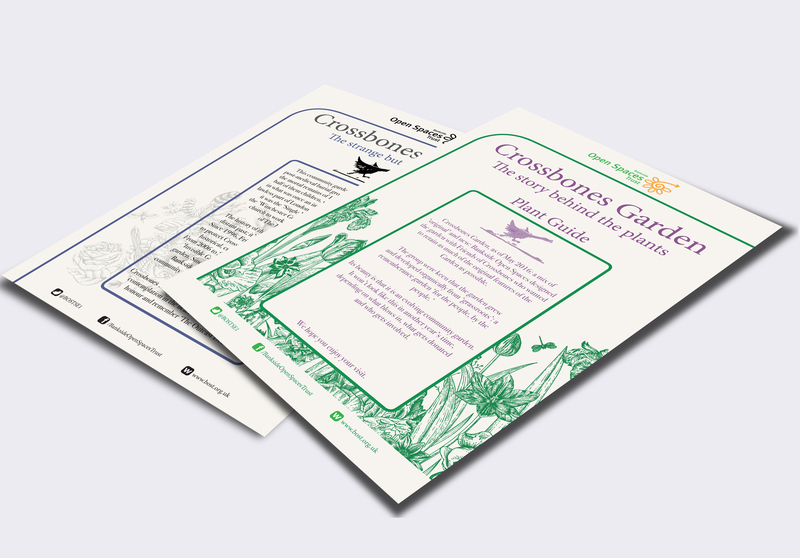 Crossbones Garden is a post-medieval un-consecrated pauper’s burial ground with the remains of an estimated 15,000 people buried there. Steeped in history and commemorated with beautiful planting, Crossbones Garden draws visitors from far and wide. 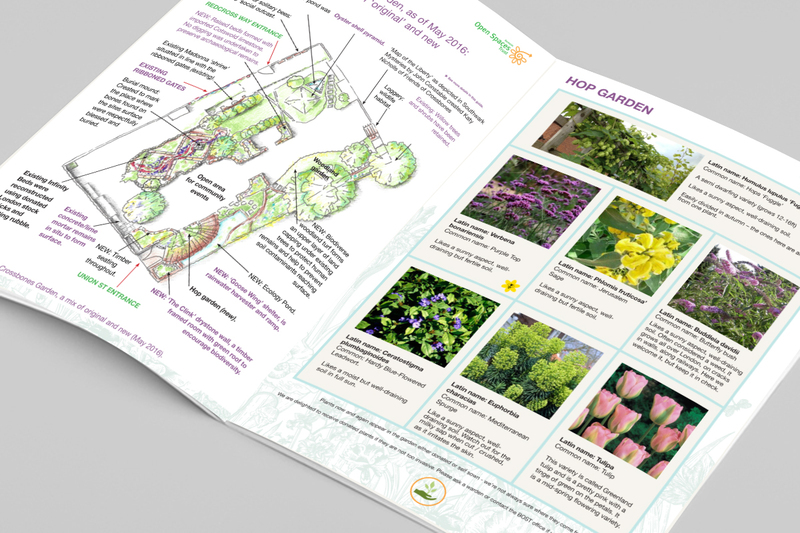 BOST wanted to create two visitors guides, one which provided an historic account of the site and the other which showed the planting in the garden and explained its relevance and symbolism. 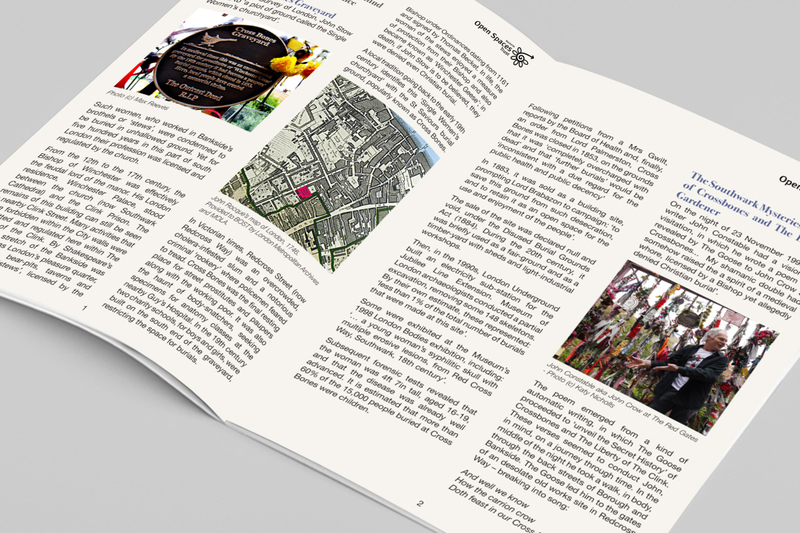 We created two visitors guides. 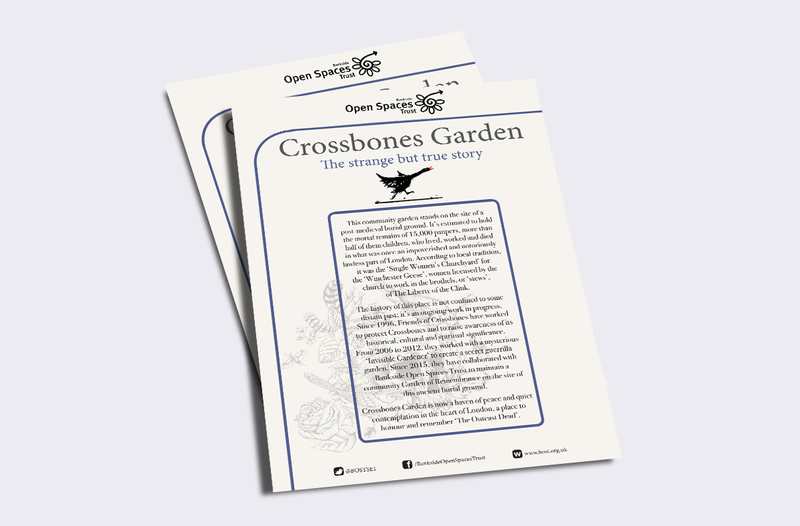 Crossbones Strange But True, an introduction to the history of site as a burial ground and creation of the garden, written by John Constable. 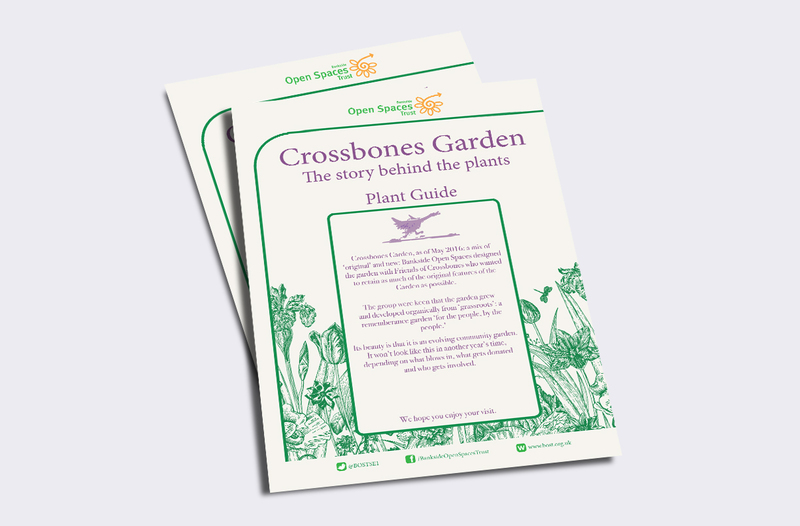 The Story behind the Plants, an horticultural guide, explaining the flowers, plants and the landscaping within the garden.